Fashion chain Hobbs endured “tough trading” over Christmas, prompting its private equity owner 3i to write down the value of its investment by 40%. The British investment firm said its 47% stake in the chain was worth £14m less than in September last year when it was valued at £35m, a figure that had already been cut from £47m in March. The company blamed “trading weakness in the last quarter of 2013” for the latest revaluation. 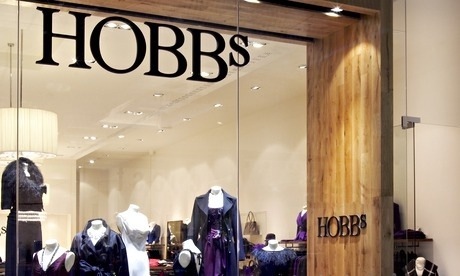 Hobbs was among a number of fashion retailers forced to discount clothing heavily before Christmas as mild weather and a squeeze on shoppers’ disposable income combined with competition from expensive must-have items such as tablet computers and gaming consoles. The writedown means that Hobbs is unlikely to join the string of companies seeking to join the stock market despite being in 3i’s hands since 2004. 3i admitted that the market remained a challenge for a number of the companies in its portfolio as well as Hobbs but said that overall its businesses had seen a “good performance”. The London-listed company said it had received £29m in proceeds from the sale of assets in the three months to the end of December bringing the total to £557m over a nine month period. It invested £247m in new acquisitions. Posted on January 30, 2014, in #luxury, #retail, #uk. Bookmark the permalink. Leave a comment.